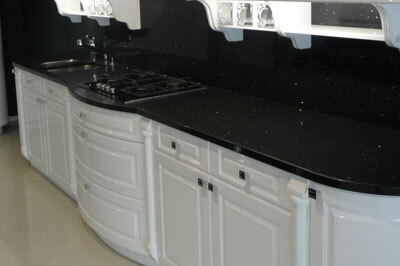 A break front is a squared central section of cabinet that juts forward, beyond the worktops either side. This could be a feature cabinet, possibly housing a large 5 burner hob or sets of draws. They can add visual impact to a long run of kitchen units.